Tinnitus, also known simply as ringing in the ears, affects as many as 50 million Americans, or 15 percent of the population. Tinnitus is not a condition, but a symptom of another underlying health problem such as hearing loss or excessive earwax accumulation. The doctors and audiologists at Chesapeake Ear, Nose & Throat in Baltimore, MD, can identify the source of your issues and provide tinnitus treatment to help you achieve relief. Tinnitus is not actually a condition, but a symptom of conditions such as hearing loss. There are two types of tinnitus: objective and subjective. Objective tinnitus is very rare, and involves noise that can be heard by your doctor when they are performing an examination. 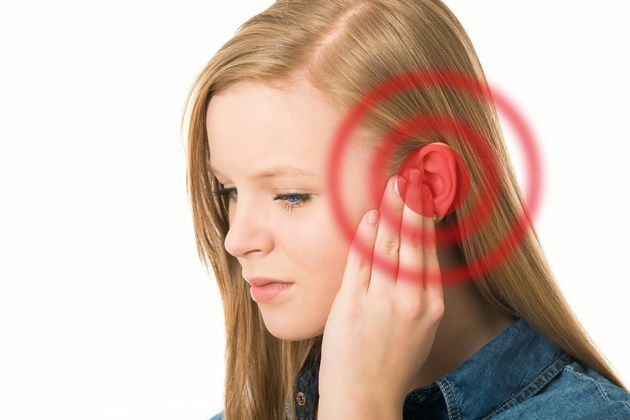 This type of tinnitus can be caused by a problem with blood vessels, a condition associated with the inner ear bones, or contractions of the surrounding muscles. Subjective tinnitus is the most common type and can only be heard by the sufferer. Subjective tinnitus is typically caused by problems in the inner, outer, or middle ear, but can also be caused by conditions of the auditory nerves. The symptoms can be disruptive and uncomfortable, and impact your ability to concentrate or listen to others. If left untreated, these symptoms can cause trouble sleeping, which can lead to emotional and psychological issues. If ringing in the ears is affecting your quality of life, we can diagnose the source of your tinnitus and provide several treatment options. Depending on the source of your tinnitus, we will decide what treatment option is best for you. We will conduct hearing tests to make sure that your tinnitus is not a symptom of more serious blood vessel conditions. There is currently no determinate cure for tinnitus, but there are several treatment options available that can alleviate the symptoms and help you improve your quality of life. Irrigation is the process of removing excessive earwax that may be causing ringing in the ears. During ear wax removal, we will use a syringe-like tool to flush out wax and foreign debris from your ears using water and saline. The procedure is safe and virtually pain-free, although some patients report slight discomfort caused by the sensation of the water. If you are diagnosed with a blood vessel disorder or a more serious complication, we may recommend surgery. Noise suppression devices are a common treatment for tinnitus. These devices are worn in the ear and use signals or tonal beats to block the unwelcome sound you hear. We will personalize the device to create the exact sound to effectively combat your specific tinnitus frequencies. If your tinnitus is caused by hearing loss, we can provide a hearing aid to improve your hearing and reduce your symptoms. In a survey completed by the Hearing Review, 60 percent of tinnitus patients reported relief from their tinnitus after receiving a hearing device. If ringing in the ears is affecting your comfort or productivity, we can diagnose the source of your tinnitus and provide several treatment options. Call our office at (410) 356-2626 or contact us online to schedule an appointment. We have offices in Baltimore, Owings Mills, and Westminster to serve you.